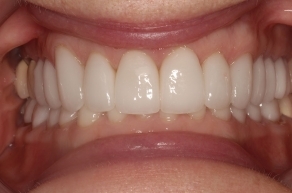 Which Is Better: Dental Bonding or Porcelain Veneers? Minor dental imperfections can have a major impact on your smile. Common concerns such as stains, chips, cracks, or gaps can distract from the overall beauty of your teeth and may also affect their functionality. Fortunately, cosmetic bonding and porcelain veneers offer two methods for repairing damaged, misshapen, or discolored tooth. By layering composite resin material on the surface of the tooth, dental bonding gives your cosmetic dentist the opportunity to change the appearance of a compromised tooth. 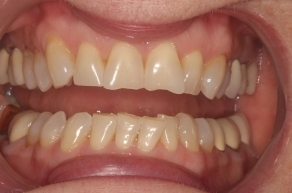 Cosmetic bonding can also conceal any stains on the tooth’s surface for a brighter smile. Compared to porcelain veneers, bonding requires little to no prior tooth preparation, preserving healthy tooth structure. In many cases, dental bonding is also the most cost effective way to correct a tooth. Though porcelain veneers generally cost more than dental bonding, they can create incredibly natural-looking, long-lasting results. 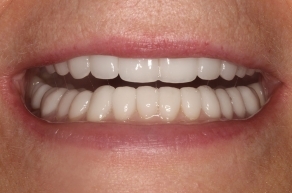 When properly cared for, porcelain veneers can be a worthwhile investment as their beautiful appearance and durable material can last decades. 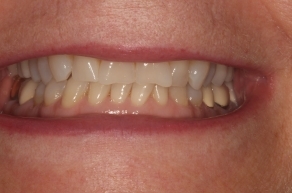 As an added benefit, Dr. Cross can also use porcelain veneers to correct mild tooth misalignment. With any cosmetic dentistry procedure, a consultation and examination is required before Dr. Cross can recommend the treatment best suited to your needs and expectations. For more information about which cosmetic option might be best for you, please contact OC Lifesmiles today.